Summer may be long gone, but that doesn't mean the ice cream, or shall I say sorbet, parties have to stop! 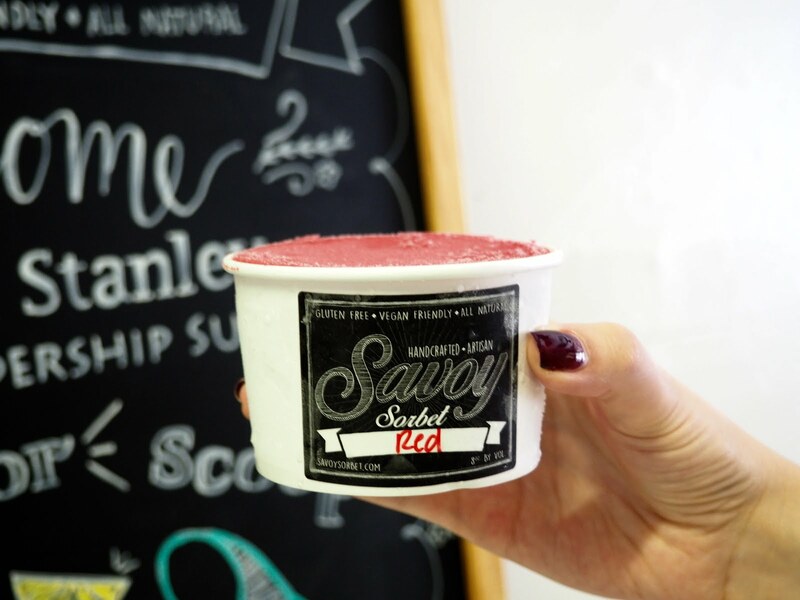 Last week, we got a special tasting of all the best flavors at Savoy Sorbet's small batch kitchen in Irving, and by all the best flavors, I mean we tried basically ALL of the flavors, because each and every one is tasty in its own unique way. Before we get into the different flavors though, let me just rave about how awesome Savoy is. The sorbet company has been serving it's icy treats since 2008 and was recently taken over by two gals, Lexi and Angela. 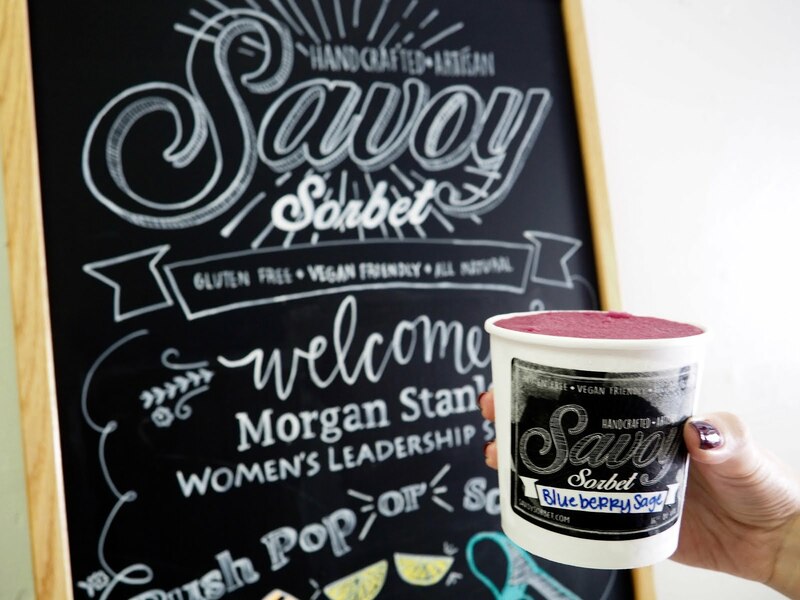 Since then they have completely revamped the brand, while still staying true to the original Savoy Sorbet craft. 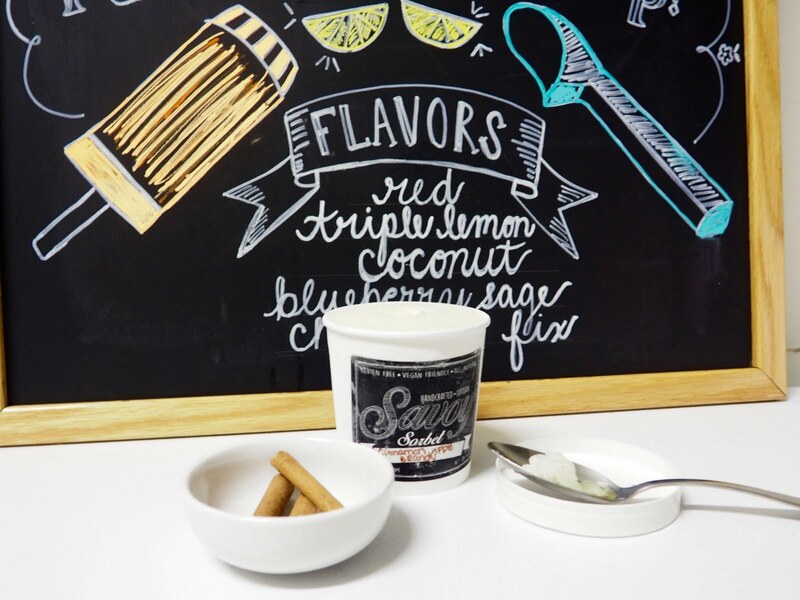 All flavors are natural, gluten free, dairy free... And dare we say, low-fat and low-cal? I not so sure how they have managed to pack all of that into these little cartons of heaven, but as they say, "The frills are on the inside." Coconut - *Surprisingly rich and creamy for not having any milk! Fire & Ice - *For the adventurers - made with hatch green chiles! Moscow Mule - *Tastes just like the cocktail! Rosemary Rosé - *Add some rosé to it and serve as a cocktail at your next party! Fun fact: all flavors are made using some sort of liquor (alcohol cooked out in the process). While they are considering maybe opening a storefront soon, you can order their sorbets online, as they now ship NATIONWIDE! 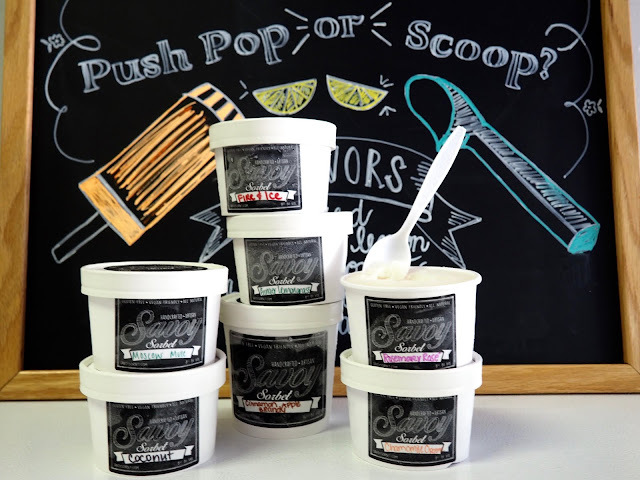 Your sorbet will arrive in a reusable, insulated cooler with enough dry ice to keep your sorbet frozen until it reaches your doorstep. Click here to order yourself a "Pick Your Six" pack or "The Savoy Six". 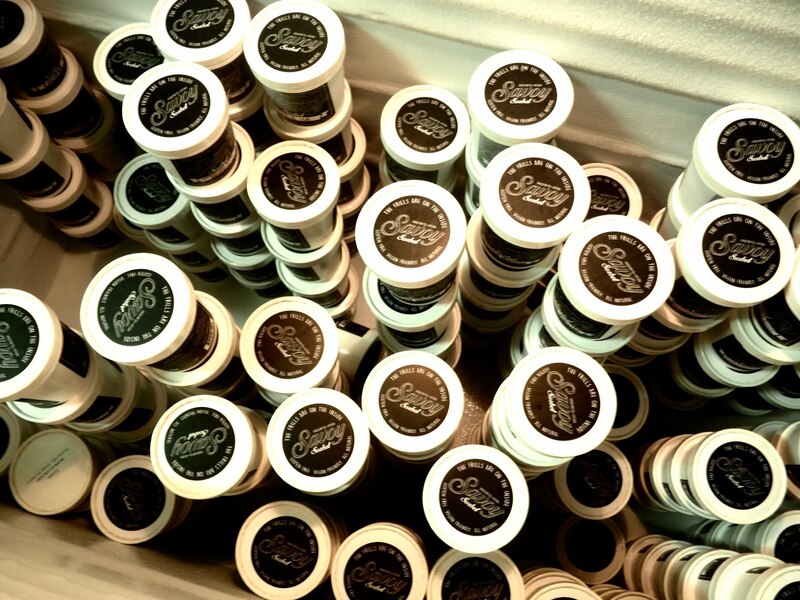 Or for us Dallasites, you can pick up a pint at any of the Central Market locations in Texas. Other Dallas locations include: Bolsa Mercado, Green Grocer, Rosemeade Market, Celebration Market, Potager's Other Stuff, and Spec's. You can also find them at Good Local Market at Green Spot Market and Fuel on Saturdays! Click here to find dates and times for the Good Local Market. 1. Find our post on Instagram and tag a friend. Each tag counts as an entry! 2. Make sure you're following @savoysorbet and @thefindingdallasblog. 3. For an extra entry, subscribe to the blog and leave us a comment to let us know. Lastly, a big thanks to Savoy Sorbet for having us at their kitchen and providing us these yummy desserts! As always, all thoughts and opinions are our own.